It’s back-to-school time. For growing educational institutions, the capital campaign season is ongoing. River Oaks Baptist School is in the final stage of fundraising for their new middle school building. Designed by Jackson & Ryan Architects, the school is designed for a STEAM (science, technology, engineering, arts, math) curriculum, to maximize student engagement, interdisciplinary study, and active learning. 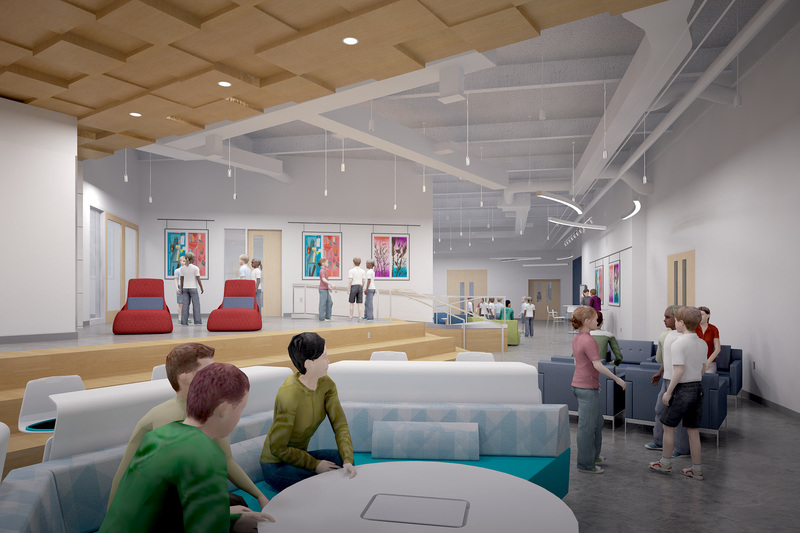 In addition to traditional spaces like classrooms and the library, there is also a maker space, a flexible blue box theatre, a robotics hub, and several “home base” lounges for grade-level use. A new Leadership Center serves as the main reception area and administrative center. Click here to see the animation PRISM completed to help River Oaks Baptist School with their fundraising. Last month our client Greystar opened their newest California property. Avila, in Old Town Pasadena, is a $100 million multifamily development they describe as “a fun and funky mix of contemporary, modern style combined with classic Spanish and Mediterranean influences, Avila has a youthful, artistic flair wrapped up in a colorful package.” The five-story building features 201 rental units of studio, one- and two-bedrooms ranging between 523 and 1,314 square feet. Plans also call for 10,000 square feet of ground-level retail space. The architecture is carefully blended with the surrounding neighborhood, once home to Andy Warhol’s West Coast debut. The interior finishes are cool and contemporary. 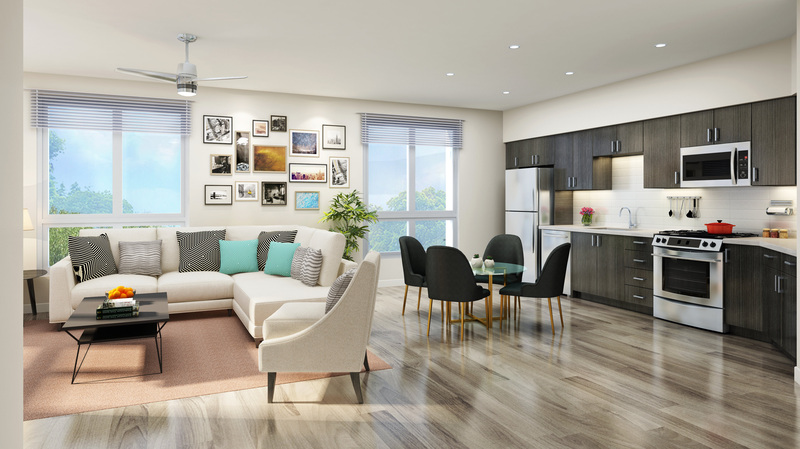 Amenities include three roof terraces, a resort-style heated pool surrounded by cabanas, gourmet outdoor kitchens, fitness center with yoga/ballet barre room, and a dog park. There is also a co-working space with a coffee bar and a private conference room. VTBS Architects are the architect of record and Parisi Portfolio provided interior design. 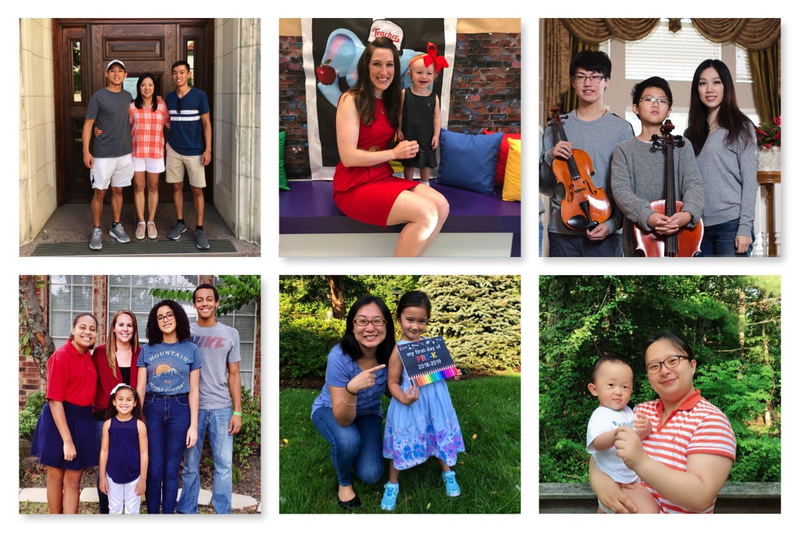 With lots of smiles, hugs and a few tears, the PRISM team has all sent their students, daycare through college, back to school in the recent weeks. All our hard-working moms marked the occasion by snapping photos of their kids on the one day everyone smiles about school! We are grateful for the many educators and administrators who guide, shape and inspire our children every day! Our team shown L to R above includes Jing Johnson, Deborah Gross, Vivian Peng, Sarah Amos, Tracy Wang, and Talia Zhao. 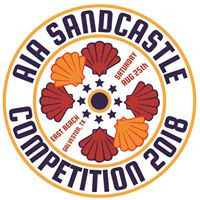 Teams from Houston’s AEC community again wowed with spectacular sandcastles at the AIA Houston 2018 Sandcastle Competition. Congratulations to all the winners, and especially to our clients who brought home awards. The top honor, the Gold Bucket, went to our client Kirksey and their partner Metzger for Scary Tales. The duo also won Greatest Feat of Structural Ingenuity and Tallest Standing Structure. HKS Architects won the Silver Shovel and Kidtastic! Kids’ Book awards for their Mother Suess creation. Jacobs and Barlett Cook won Best World History for Journey on the Orient Express. HOK with Hensel Phelps won Best Pop Culture. And – yes this is a real award – Powers Brown Architecture won Most Epic Fail for Poco Loco. 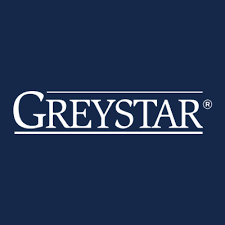 Since being founded 25 years ago, Greystar has grown to become one of the largest multifamily real estate companies in the United States. The company now has 400,000 units under management and 1600 properties globally. PRISM began working with the Greystar Houston office in 2014, and since then we’ve served their Denver, Irvine, Sacremento, Hermosa Beach, Atlanta, Denver, Austin, and San Francisco offices. We are proud to work with such a respected company, especially one that shares our focus on creating genuine relationships. Click here to see a short sampling of their recent developments. Our apologies! In our last newsletter, we misspelled The Clerkley Watkins Group, architect of Villas on Nueces multifamily housing in Austin. We like you, do you like us? We love sharing what our clients are doing on our Instagram, Facebook and LinkedIn pages. Even more, we love meeting with our clients and talking about new projects and ideas. How can we help you? Call me at 281-799-4800.